Lee University held its 10th annual LeeU Film Festival. Nine student films were selected by Lee faculty for screening. 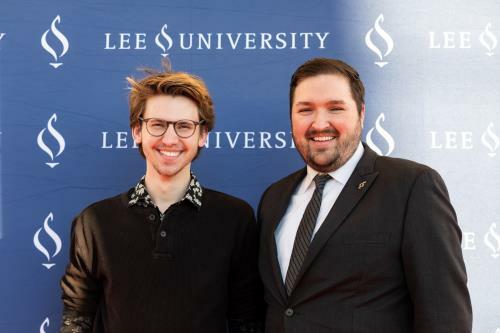 "It's such an exciting time to be a filmmaker at Lee, and the quality of the films at this year's festival are evidence of that," said Matthew Fisher, associate professor of communication at Lee and festival judge. "01-Active," written by Harrison Gay and directed by Danny Bowles, received the Faculty Choice Award. "I wrote and scored this film, but still came to help with the shoot," said Mr. Gay. "Our shooting day was stressful, but watching my peers step up to make it work helped me embrace the attitude that we actually are a team. We will be together on this, find the flaws, and figure out how to fix them. To quote High School Musical 3, 'We learned to fly together, side by side'." 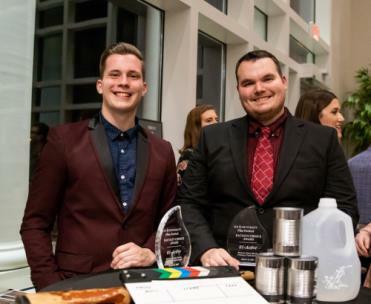 "Pebble," directed by Lake Holden and produced by BJ Faircloth, won the Audience Choice Award. "Making Pebble is an experience I'll always remember fondly as a time of growth," said Mr. Holden. "I am so thankful to everyone who voted for this film, and I don't take this award for granted." Other films accepted and screened at the festival include "Dunk Contest," directed and produced by Bryce Castille; "The Oliver Project," directed by Kellen Gifford and written by Olivia Webb; "One Steamy Night," directed by Skye Stewart and written by Natalie Schweizer; "The Dark Room," directed and produced by Jon Bouvier; "America's Finest," directed by Madeline Carroll and written by Katie Alexander and Haley Blakely; "The Birdwatcher," directed by Timothy Smith and produced by Lily Freeman; and "Good Content," directed by Zach Camp and produced by Mitchell Hartley and Will Vest. For more information on Lee's Department of Communications Arts, visit http://leeuniversity.edu/academics/arts-sciences/communication-arts/programs.aspx.